Mmm this is a bit techie/geekie but bouncing over my RSS feeds I came across a posting from NPR, that fine institution, flagged ‘Attention Pink Floyd Fans’. You can read the post as well as I can but the link off to Croz.FM (sorry, this link now seems to be dead – Feb 2011)had an interesting link to a download of the quadroponic mix for Dark Side of the Moon. Rather sceptically I went ahead and as Croz says the issue is not whether or not you can listen in quad (!) but the difference in the mix of the album. 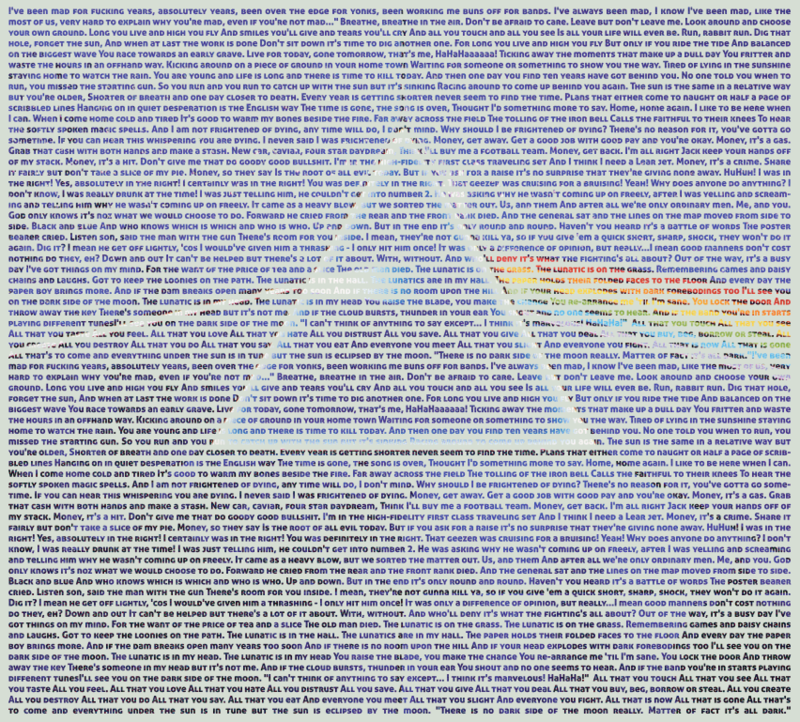 This entry was posted in Uncategorized and tagged Pink Floyd. Bookmark the permalink.